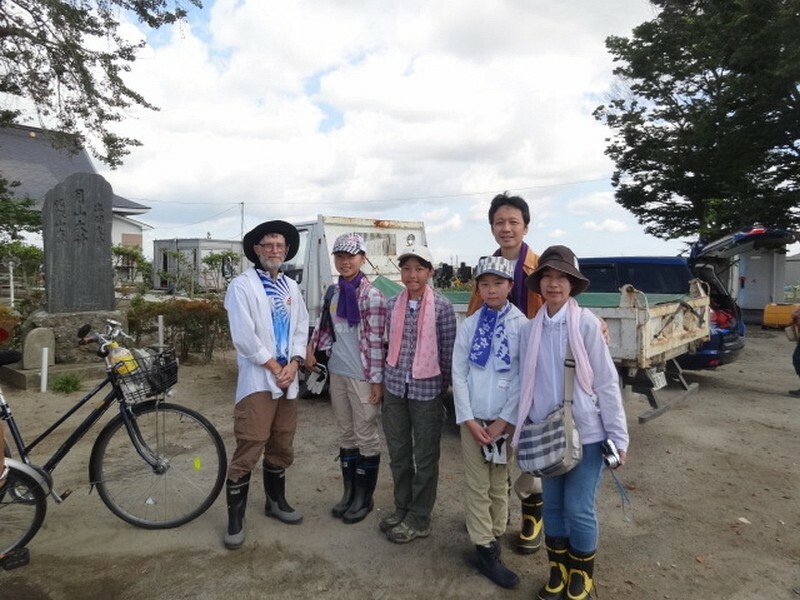 During my 2012 bike ride through Japan I met a few volunteers from last year. It was nice to catch up with some of them. See http://www.crazyguyonabike.com/doc/page/?o=1&page_id=260684&v=H8 for photos from last year. In 2012 the number of volunteers are less but there is still a steady stream of them coming, weekends are still the busiest. Even so there were around 30 on my last day. 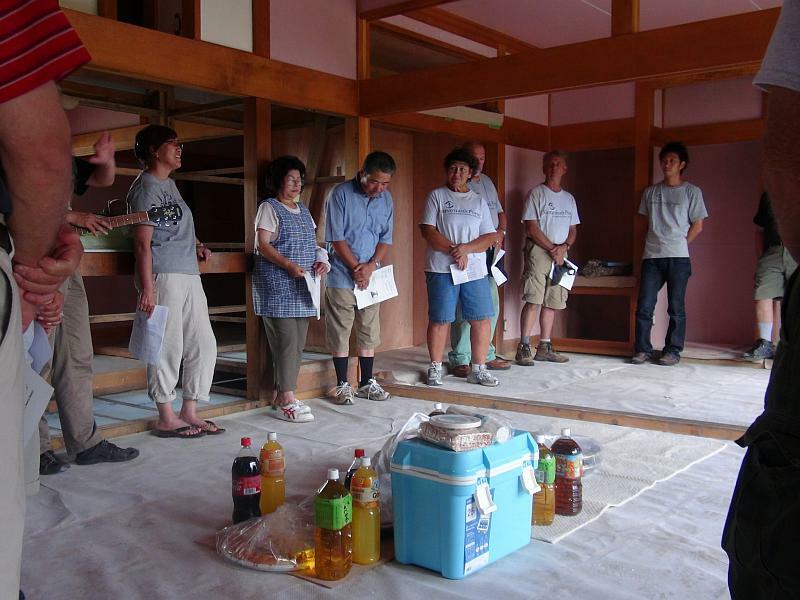 Perhaps 50% are local Miyagi people, the rest from other areas of Japan. This year I am the only foreigner at Okada. 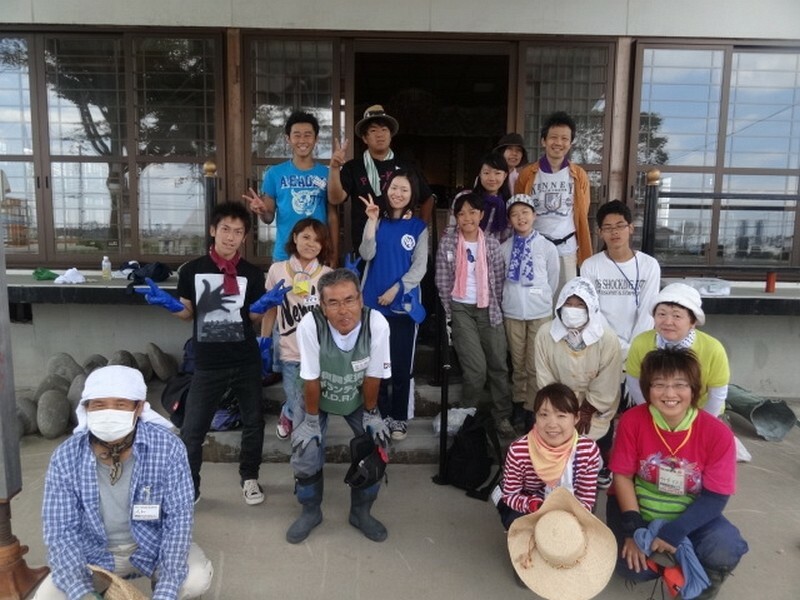 Some of the team of fellow volunteers at the temple where we worked. Keeko, the best dressed volunteer! 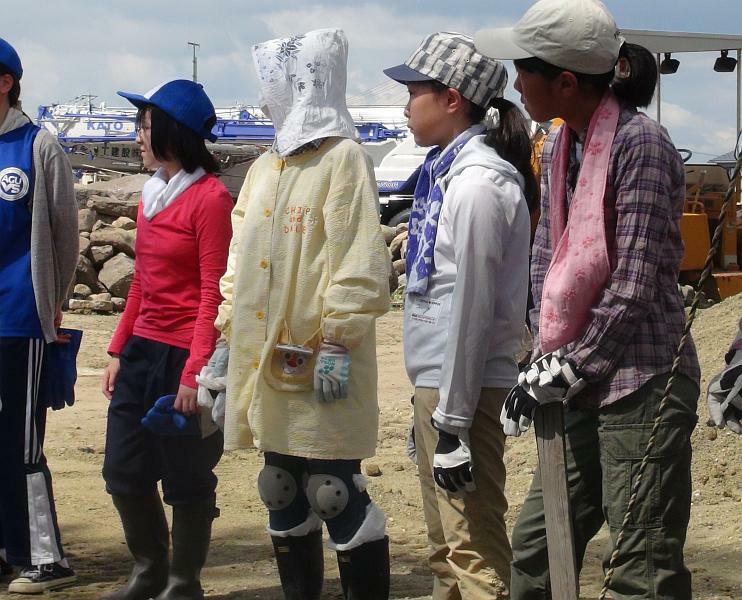 What Keeko-san, the best dressed volunteer wears! 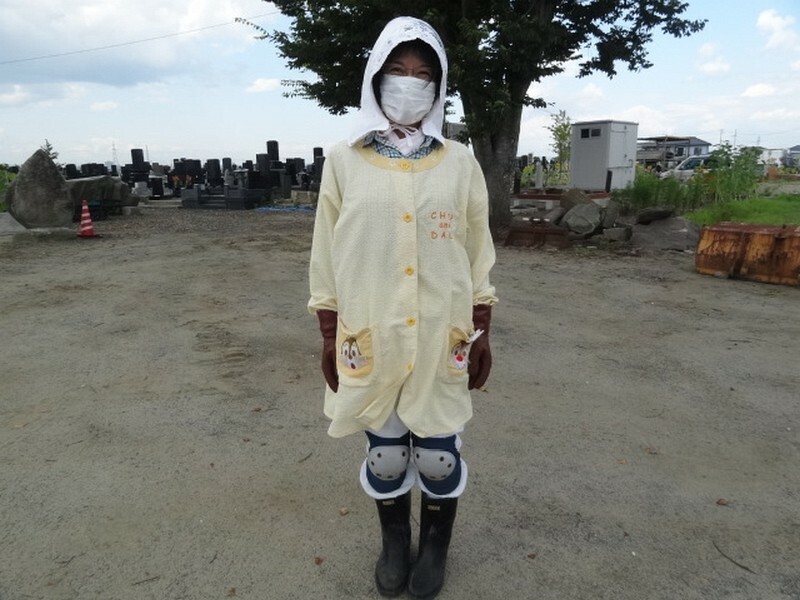 Gumboots to protect from mud and dust, knee pads to protect knees from getting sore, gloves to protect hands from sun and getting sore, mask to protect from breathing contaminated dust (and to hide one’s identity! 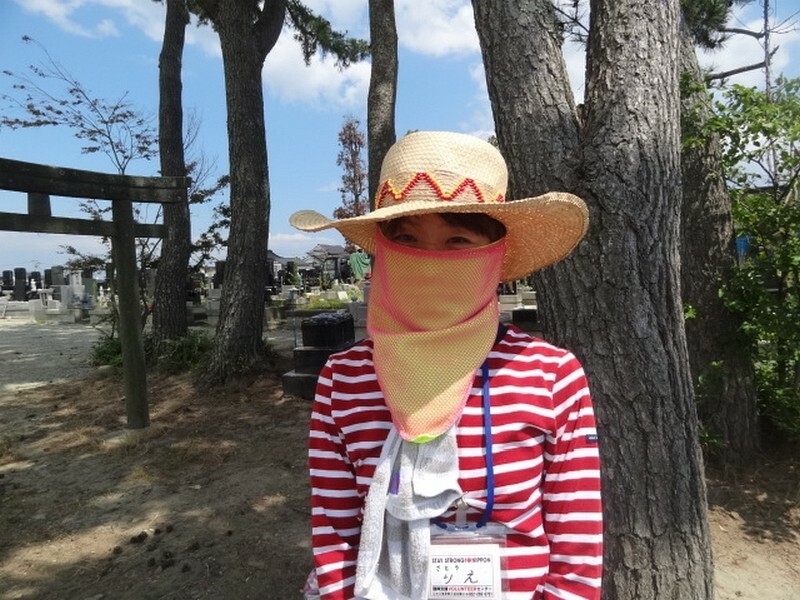 ), traditional hat to protect from getting sunburn. Light coloured clothes to reduce heat from sun. I’m not sure what is tucked into her boots! I’m so impressed with Keeko’s outfit! 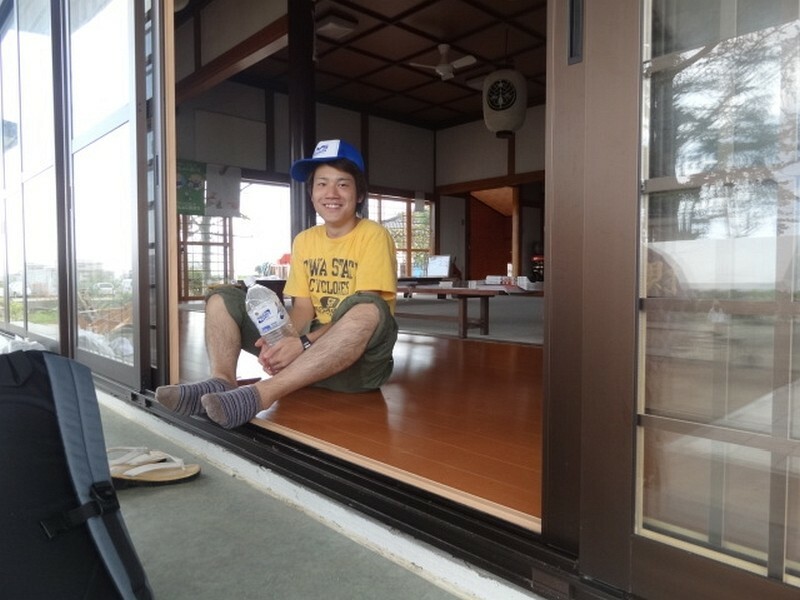 Rie, a mysterious and exotic Spanish style volunteer! Kitamura Family from Tokyo, Akira, Yasue, Rei, Ane and Yume. Etsuko, Buddhist nun from a Kyoto…. 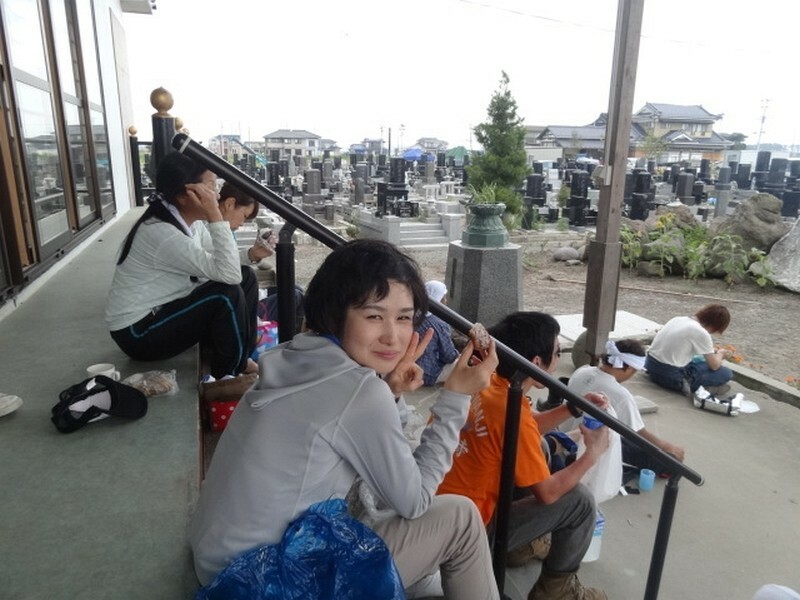 Kanagawa volunteer relaxing during the lunch break. 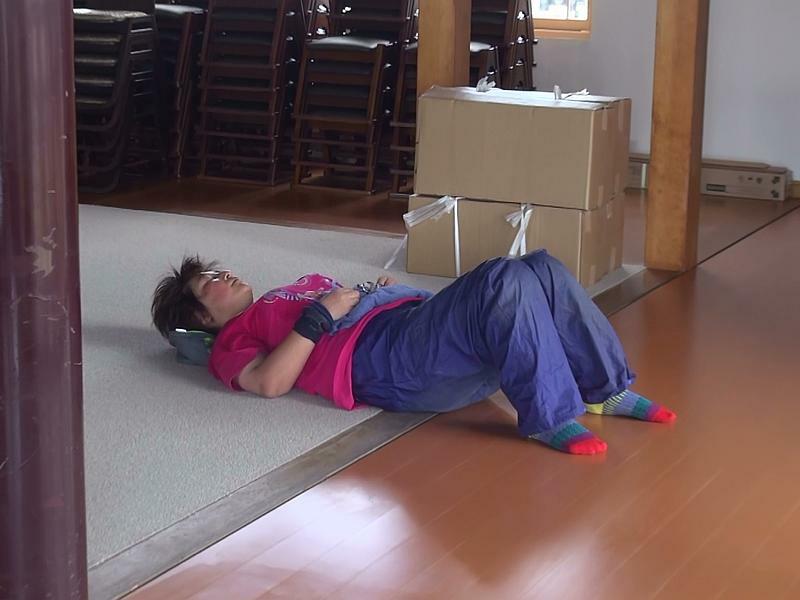 Masumi resting in the temple during lunch break! 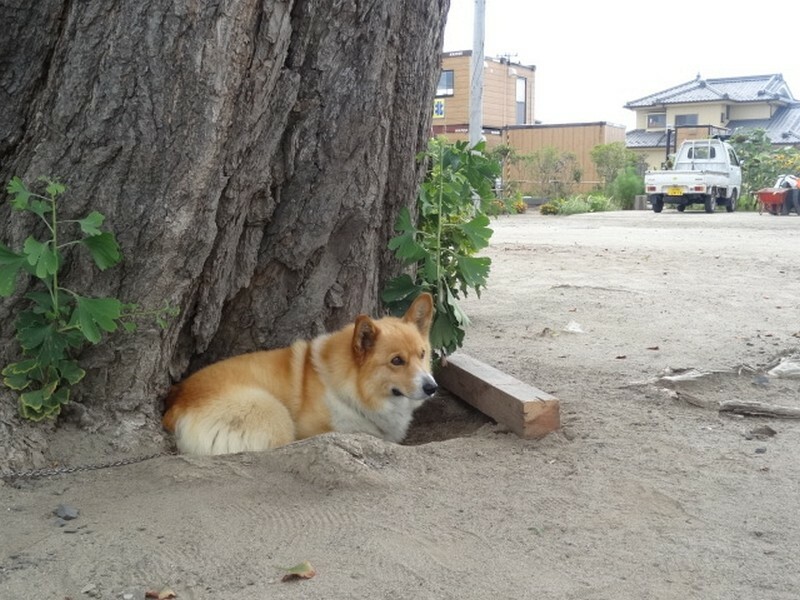 The temple’s fierce guard dog, woof, woof! (ワンワン)! Later we visit Hisae’s home (who cut my hair). 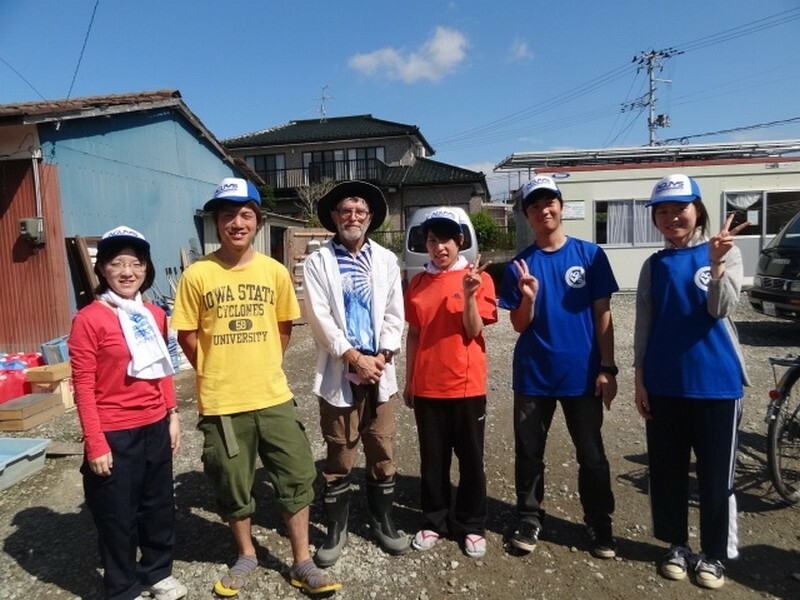 It had just been made habitable by a team of Samaritan’s Purse, a group of mostly US and Japanese Christian volunteer builders who are restoring houses in the area to livable conditions. Samaritan’s Purse, a team of volunteer builders restoring damaged houses. Lots of speeches and singing before having the food and drinks. 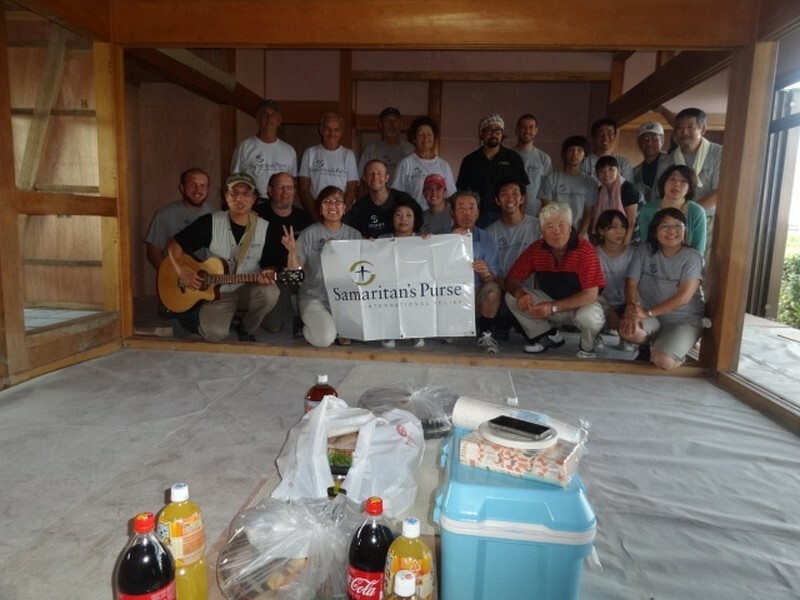 Outside Hisae’s house restored by Samaritan’s Purse. 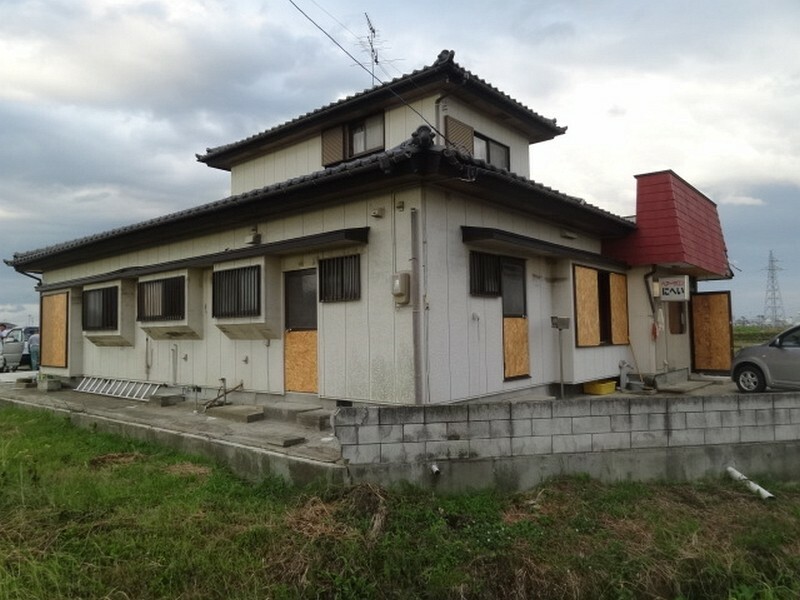 Hisae’s house on its way to becoming livable again. Her hairdresser’s salon on the right. I recommend everyone go and see Hisae when you have your haircut!